We all know that K-Beauty is popularly growing here in the Philippines. This is because we have seen it with our favourite Korean celebrities who have great and flawless skin. Let me correct that, it's not just the celebrities but Koreans in general do have porcelain skin. And truly, each time I see one, I always wish na sana ganun din ako ka-kinis. 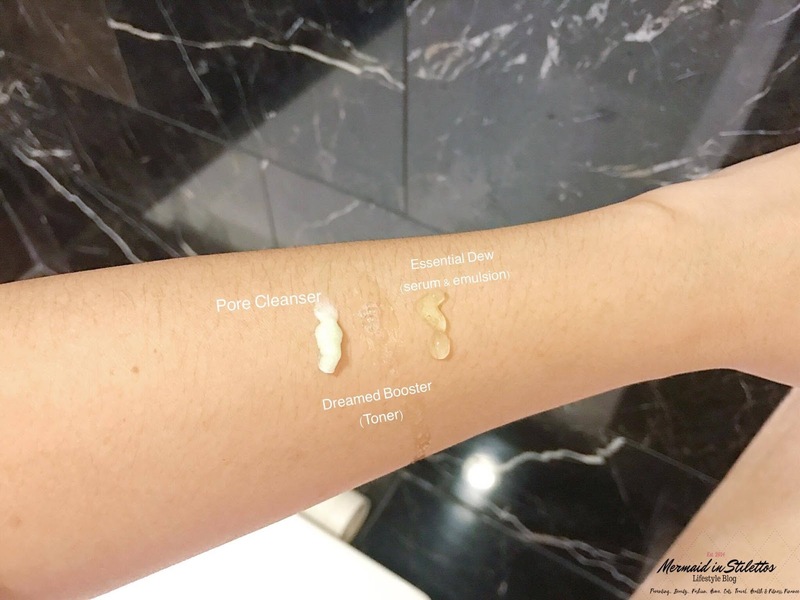 Today, this post is all about skin care — join me as I discover a Korean Skin Care brand that I have recently been introduced. MOSP pronounced as "\mo.sip\" is a Korean Word, which refers to one's image made up of not only the appearance but also the attitudes and feelings or in short "beauty from within". MOSP is born in a clean environment of Gangwon-Do, the cleanest area in Korea. 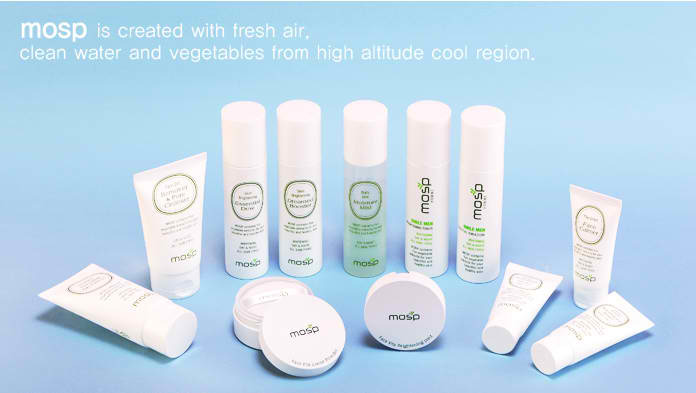 MOSP is created with fresh air and perfectly purified natural water drawn from an altitude of 650m. MOSP contains healthy vegetable extracts from high altitude ~ cool region. MOSP has been brought here in the Philippines 3 years ago which is under Hanacos Co., Limited. It is a Korean based company well known for developing, manufacturing and selling skincare and beauty brands such as Etude House, Tony Moly, Missha, Holika Holika and The Face Shop to name a few. 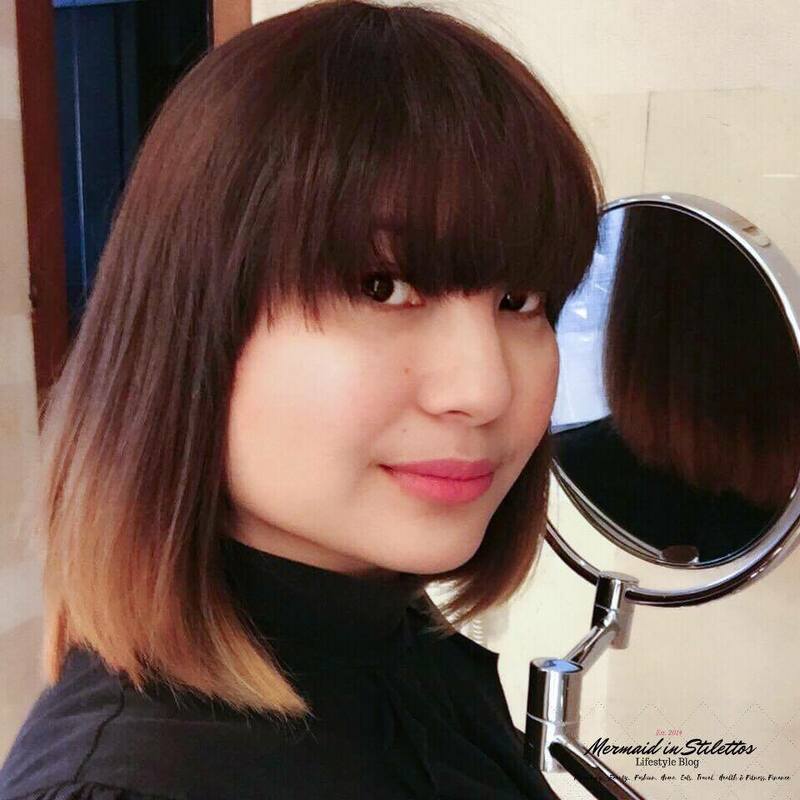 Last August, MOSP was re-introduced to a number of bloggers through an intimate coffee meet-up and One Pharma, Inc. started to re-launch MOSP products effective this month. One Pharma, Inc. carries the exclusive rights in importing and selling MOSP products here in the Philippines. Simultaneously, MOSP now has a new packaging with a brighter, more vibrant and fun colors carrying the brand's Skin Care and Maquillage line. 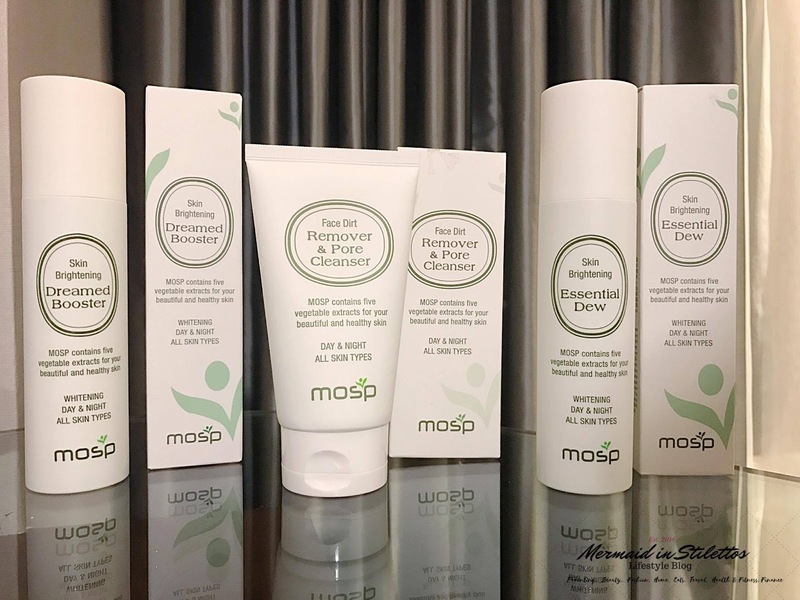 MOSP 's Skin Care range includes Face Dirt Remover & Pore Cleanser, Skin Brightening Dreamed Booster and Skin Brightening Essential Dew. While MOSP 's Maquillage line which is the make up line includes Perfect Blemish Moisture Balm SPF50+/PA+++, Luminous Moisturizing CC Cream SPF 50+/PA+++, and Face Vita Brightening Pact. 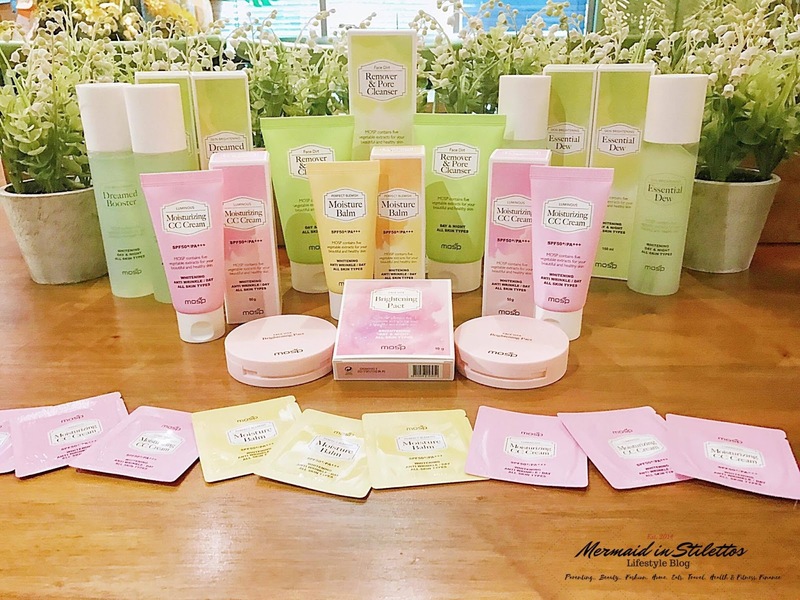 Since I have mentioned that this blog post is about Korean skin care, you may then expect a comprehensive review concentrating on MOSP's Skin Care line review. A separate review on their Maquillage line will be up next in the next coming days. 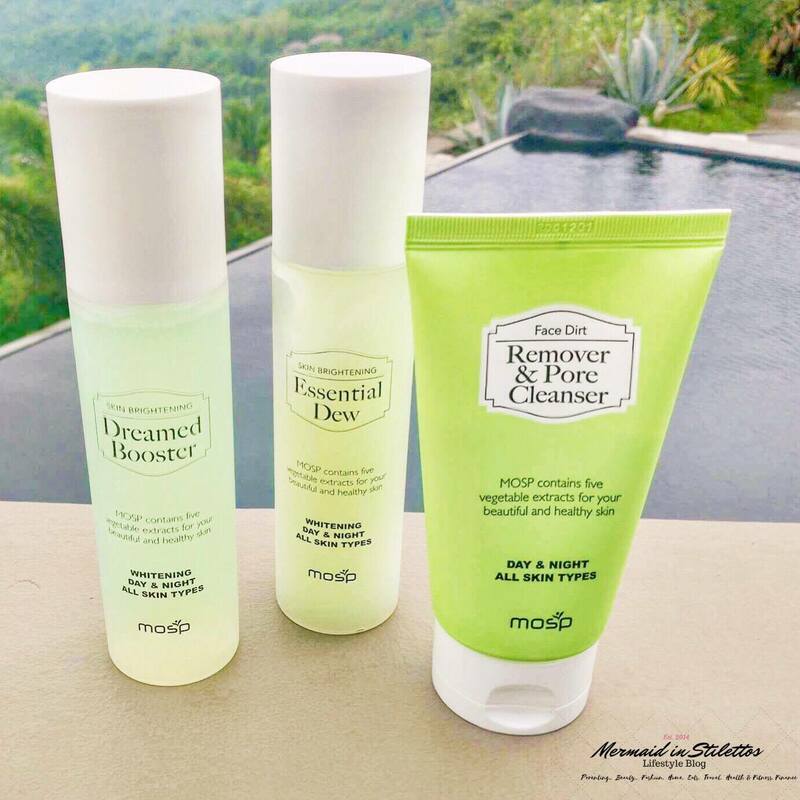 MOSP 's Skin Care range includes : Face Dirt Remover & Pore Cleanser (120g), Skin Brightening Dreamed Booster(150ml) and Skin Brightening Essential Dew(150ml). (CLEANSE) Face and Dirt Remover contains high enriching five-color vegetable extracts which gives extensive moisturization and pore cleansing powder that cleans deep-seated clogged pores. —It contains Phytogenic detergent agent which cleanses the whole face. —It may be used during day and night. —It is safe to be used for all skin types including the sensitive. (TONE) Skin Brightening Dreamed Booster is enriched with toning solution that can be quickly absorbed into the skin keeping it clean, soothe and moisturized. —It promises with extensive moisturization since it contains high enriching five-color vegetable extracts keeping skin soft and smooth. —Contains a major ingredient, Niacinamide, which is certified as a skin whitening ingredient by KFDA. This ingredient makes skin clear and bright. (MOISTURE) Skin Brightening Essential Dew is a combination of serum and emulsion in a bottle. Its high enriching serum texture does not cause skin irritation and can be quickly absorbed into the skin keeping it soothe and moisturized. Also, its highly effective emulsion helps boost skin-whitening and moisturization. —When applied after Skin Brightening Dreamed Booster, Skin Brightening Essential Dew alone can manage all the basic skin care at night. —It contains hyaluronic acid, its moisturizing ingredient that helps the skin to remain strong against anti-inflammation and hydration. —Highly concentrated so it is economical to use. It could be purchased in BeautyMNL and online through their Facebook page. 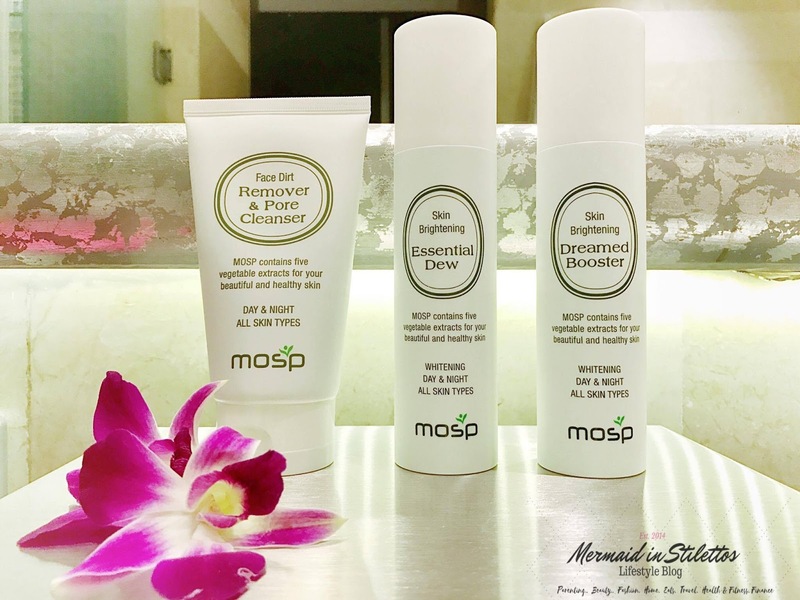 I have road - tested the MOSP 's Skin Care Line for four weeks already. As with my other product reviews, I stopped the current one that I am using so as to provide an accurate and dependable review about the effectiveness of the said products. This is not the first time that I will be using Korean skin care products but the truth is, I still consider myself a newbie when it comes to using Korean skin care in general since I still tend to get confused especially that there are a lot of steps that one should religiously follow. 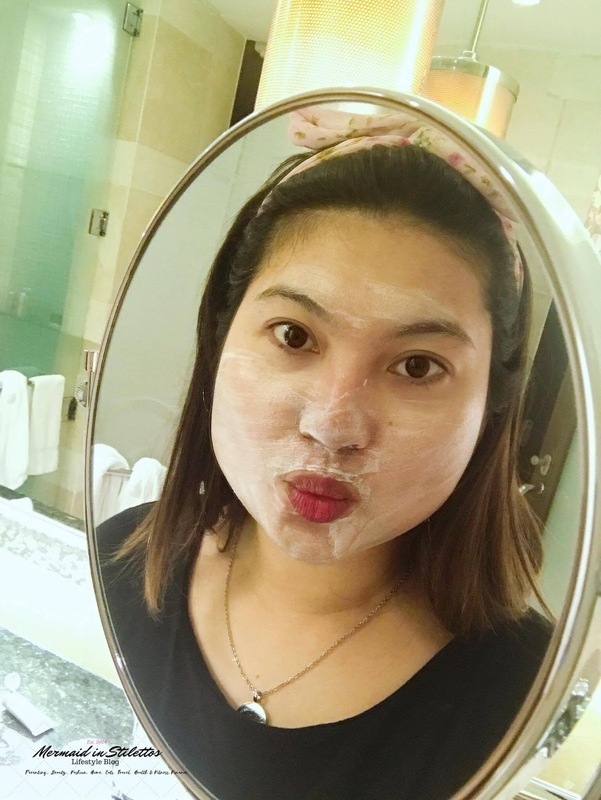 My journey to discovering Korean skin care didn't come that easy and just like some of you, there are times that I've managed to use products for the wrong steps. And with this, since the steps still confuses me, I consulted our dear old google to provide you with the right information. What I got for my product review during the intimate bloggers meet-up last mid-August was products which still have the old packaging. The new ones were scheduled to be imported here in the Philippines this month. Nevertheless, we were advised that everything else — the ingredients, quality and size are intact and with the same effect, the packaging is only different. - Economical to use, with just a pea-size amount, it can cover and clean the whole face. - Scent is very mild and I love it. It has a touch of tea tree scent. - I love that it can be used either in morning at night so no need to purchase 2 different products for the morning and night ritual. - I didn't have any allergic reactions when I used it so yeah, it is very safe to use even for the sensitive ones. - It is different from anything that I have tried before as it has a very light, watery gel like texture. But I ended up loving it. - Onto a cotton pad, I used only two pumps and it instantly leaves my face looking fresh. - Despite its gel like texture, it doesn't leave my skin feeling sticky and I am happy that it didn't sting. The real star of this whole range is this — the Essential Dew! I really love that they have combined the serum and emulsion in a bottle since it made the (Korean Skin Care) steps less complicated. haha! 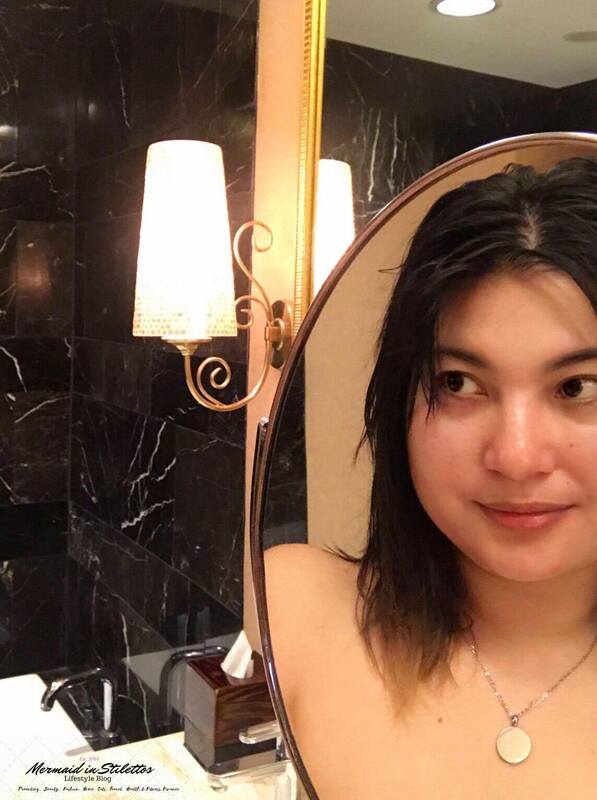 Alam nyo naman lang Korean Skin Care — parang prosisyon, napakahaba! -I really love the Essential Dew especially when I used it at night time. I Initially got a little worried that the light texture would mean lack in hydration but on the contrary it provided ample hydration throughout the day and the whole time I was asleep. -Leaves my skin feeling soft and fresh. I have nothing to say about the Pore Cleanser and the Dreamed Booster because I love MOSP 's whole Skincare line in general. I just have one comment on the Essential Dew. I have said that it is the real star amongst the line because of the combination of the serum and the essence which was put into one bottle — it is infact a very brilliant idea! I just find it quite sticky upon application. But, BUT it then becomes very light once it got fully absorbed in the skin. The dew is fully absorbed within 5 minutes and the tackiness disappear accordingly —you know that feeling like you have applied nothing on your face? Yup, ganung feeling. Oh, Isn't it some say first impressions last? But with MOSPs Skin Care line —which looked so ordinary and unassuming to me at first did turn out the other way around. I fell in love and I absolutely adore it now. So if you think that you have a dull, tired looking skin which need something that gives a huge boost of hydration then I highly suggest you to check out this range. DISCLAIMER: I AM NOT ASSOCIATED NOR AFFILIATED WITH MOSP, NOR with HANACOS CO. LTD., ITS owner and MANUFACTURER; nor with one pharma inc.,its official distributor. 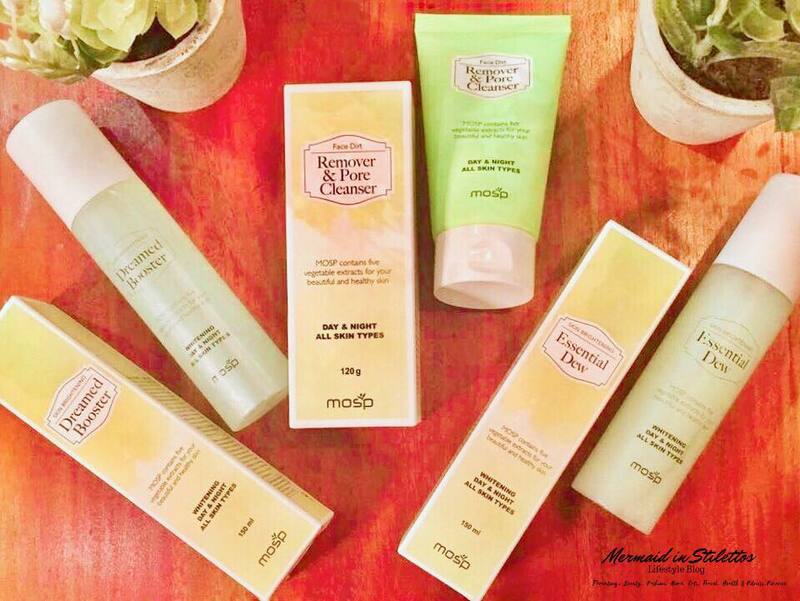 I RECEIVED MOSP'S skin care products ONLY FOR PERSONAL CONSUMPTION AND REVIEW. MY THOUGHT AND OPINIONS ARE 100% UNBIASED, HONEST AND MY OWN. THERE IS NO PLACE FOR ANY SORT OF BS HERE.